The senior deputy principal at Stanground Academy has resigned, following on from the departure of the school’s principal. Simon Jay has left the role for “personal reasons” according to the Greenwood Academies Trust, which runs the academy. 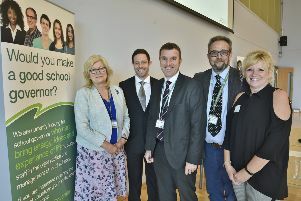 The news comes the day after it was announced headteacher George Lewis, who was appointed to the role in September, was being replaced by Gary Carlile, who is joining from Skegness Academy at the start of the summer term. Mr Lewis had previously been “away” from the academy. The trust said it wished Mr Lewis “well for his future endeavours” but declined to comment further on his departure. A trust spokesperson said: “Simon Jay has resigned from the post of senior deputy principal at Stanground Academy. Mr Jay has recently completed his Specialist Leader of Education (SLE) training and, for personal reasons, will be pursuing other exciting opportunities in this area.